There are so many reasons to love Easter. The friendly gatherings, the family traditions, the delicious sweets! Oh my! But Easter treats can come in various forms too. Not just chocolate-covered bunnies and marshmallow chicks. (Although who are we kidding - those are pretty delicious.) 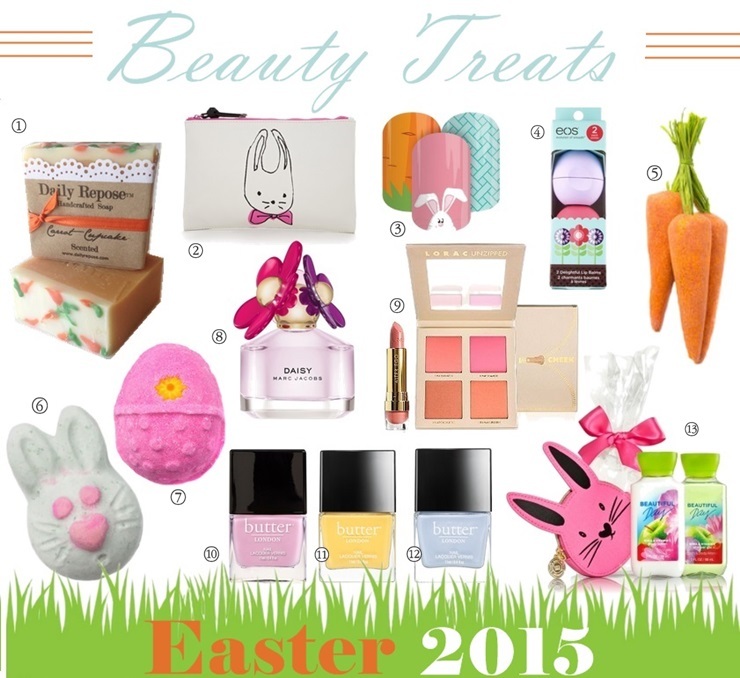 Instead, fill those wicker baskets with Easter themed beauty treats! From candy-scented bath bombs to spring blushes and carrot soap – here are some beauty finds to indulge in! So pretty, love the bunny make up case and I finally jumped on the Marc Jacobs Daisy bandwagon - so good! Great ideas! I have those Jamberry nail wraps.